Automation, AI (artificial intelligence), robots. 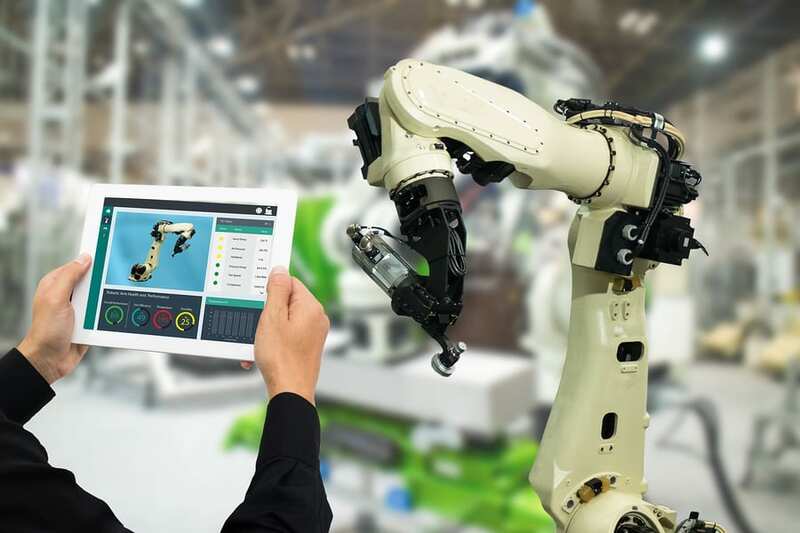 The future of manufacturing will increasingly depend on these technologies which are today making themselves indispensible in warehouses around the globe. Thanks to advancements in big data and the internet of things—both topics we’ve often touched on here—these once-futuristic tools are growing more sophisticated every year. As their capabilities rise and costs drop, manufacturers will increasingly rely on them to stay competitive. While reducing labor costs is the obvious big benefit that comes to mind when considering these technologies, there are more economic advantages they can ensure. Automated functions typically are more accurate, minimizing costly errors and increasing sorting capacity. Warehouse space can be better utilized when it doesn’t need to meet human criteria for access, headroom, or even lighting. An automated retrieval system can handle much greater heights than a forklift, and perform retrieval faster. Warehouses are chronically hazardous environments, but safety standards are a very different matter when robots are being protected instead of humans. One innovation is the use of drones for inspections and stock takes. When humans inspect a pallet stored 20 or 30 feet high, they need safety harnesses and special lifts, but a drone can complete the job in minutes. We also touched briefly on vending machines in a recent article. This automation trend has a much lower barrier to entry, cost-wise, than introducing robotic picking in the warehouse, but it can impose great financial savings on operations. When robots are integrated with smart data and AI systems, you’re on the way to very agile, responsive and economical system. While automation can deliver great consistency, it also requires great consistency to function. A robot or an automated vehicle has a very narrow tolerance. Uneven floors, ragged pallets, torn cardboard or dented boxes could all stymie a robot, rendering it somewhat useless. These technologies are not immune to the “garbage in, garbage out” adage. There is no margin for error when programming the system, so establishing automation has big upfront investments in both time and money. The technology is still evolving. For example, robotics are increasingly used in warehouses to fulfill orders for online shopping. In that arena, the “bag of oranges” is recognized as one of robots’ greatest challenges. While a robot can be easily taught to pick up a bottle of oil or a box of cereal, it lacks the finesse to lift a mesh bag holding five pounds or oranges or onions. While many aspects of this revolution are still in the exploratory stage, some elements are solidly here to stay, powering huge distribution centers like Amazon. It is only a matter of time before supply chain experts utilize these tools to craft highly safe, accurate and efficient end-to-end systems for medium and large warehouses in all industries.